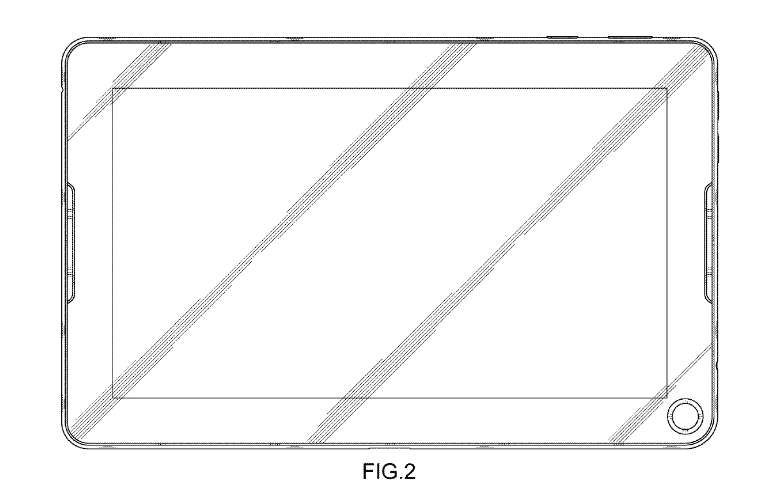 Patent fillings are a good method to notice how devices design will look like at the official launch. 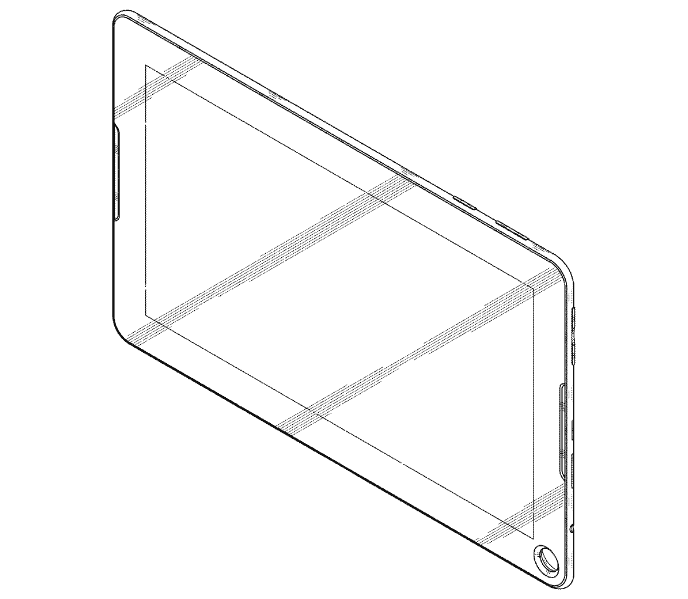 The latest patent filling from the South Korean manufacturer Samsung has an interesting aspect: a hole in it.The Galaxy Tab like tablet has a prominent hole in the right bottom corner. There are no information about what that hole might represent, but in other words this tablet seems to be quite standard. It has a camera in the back, speakers on both sides and a stylus in one of the sides, meaning that this tablet might be from the Note Series line. In other order, this possible feature for a new tablet seems pretty interesting. There is no clue yet about what this may be. What function will have or what accessory wil have. What do you think about it? Do you have a theory about that hole design? It can be the first product from a new line?